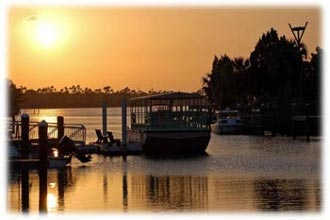 Waterfront Homes For Sale In Crystal River Florida, Homes For Sale On Kings Bay & Gulf Of Mexico. - CENTURY 21 J.W. Morton Real Estate, Inc. The west side of Citrus County Florida sits on the Gulf of Mexico offering spectacular waterfront views and sunsets. 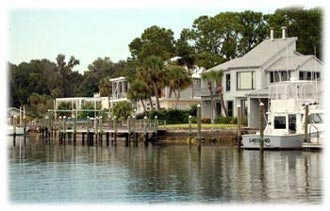 The city of Crystal River offers many waterfront homes on canals as well as Kings Bay which leads to the Gulf of Mexico. 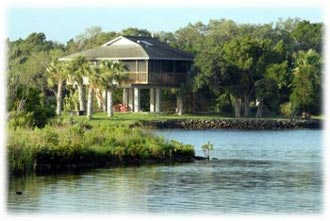 Kings Bay Drive is one of the most impressive waterfront communities in Citrus County. Large Mediterranean style homes set right on the waters edge of Kings Bay in Crystal River offer excellent access to the Gulf of Mexico. When fishing on the west side of Citrus County your options are saltwater fishing and freshwater fishing. Saltwater fishing in the Gulf of Mexico offers some of the largest Tarpon on the planet, in fact the world record Tarpon was caught just off the coast of Citrus County. 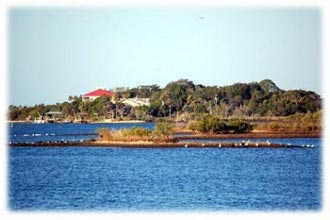 Kings Bay and the Gulf of Mexico are popular destinations for pleasure boating as well as fishing on the many bright sunny days here. 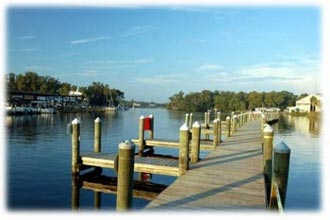 There are also seven rivers in the Citrus County area that feed into Kings Bay on their way to the Gulf of Mexico. The Crystal River and Homosassa River, both spring fed, are popular waterways for freshwater fishing as well as viewing Manatees. The natural spring fed waters of the Crystal River and the Homosassa River are a constant 72 degrees all year round, making it the perfect home for the native manatees during the cooler winter months. Much of the surrounding area has been designated as a manatee sanctuary and many stay here year round now. People come from all over the globe to experience these gentle giants in the wild. Dive and snorkel shops, like River Safaris, dot the area renting boats and offering manatee tours where you can actually swim with the manatees. Many residents of waterfront homes in Crystal River are often visited by manatees right at their dock or boat launch. It is not uncommon to go canoeing or kayaking in Kings Bay or on the rivers and be joined by manatees or even the occasional porpoise. Living in a waterfront home in Crystal River or a riverfront home in Homosassa also means quick access to waterfront dinning and the freshest seafood around. There is even a local scalloping season in Kings Bay where you can collect your own. Citrus County celebrates the manatees and the natural treasures from the sea each year with the annual Manatee Festival, Stone Crab Jam and the Homosassa Seafood Festival. If you would like more information on experiencing one of these events or information on available waterfront homes in Crystal River contact us today!